Bellevue, Washington - October 3, 2016 - To help our customers connect with loved ones in the path of Hurricane Matthew, T-Mobile is making it free to call and text from the United States to affected areas including the Bahamas, Bermuda, Cuba, Haiti, Jamaica and Turks & Caicos. 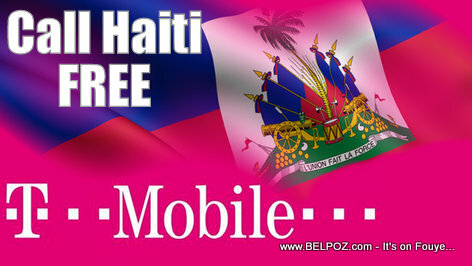 T-Mobile will also waive roaming fees on calls and texts for customers in Bahamas, Bermuda, Haiti, Jamaica and Turks & Caicos. "Our thoughts and prayers are with everyone in the path of this powerful storm," said John Legere, president and CEO of T-Mobile. "Please be sure to check on your loved ones." The offer applies to all T-Mobile ONE and T-Mobile Simple Choice customers (postpaid and prepaid), as well as customers of MetroPCS, GoSmart Mobile, and WalMart Family Mobile. It is effective from October 4 PT through October 7, 2016 11:59 PM PT. Customers will see regular charges on their bills with corresponding credits.